"Pharisaical Priests of False Charity" and the "Novus Ordo Missae"
Nothing so incensed Our Divine Savior like the pharisaical brand of religion which was obsessed with external realities only and had nothing to do with the inward conversion of hearts to holiness. Over and over again, Our Lord had to rebuke the pharisees who wanted only the satanical bread of this world as opposed to the Bread of Eternal Life which Christ alone offered to mankind. By the same token, Satan offers only the false charity of the bread of this world to souls today; Christ Our Divine Savior has the everlasting spiritual Bread of eternal life, His Body, Blood, Soul, and Divinity. 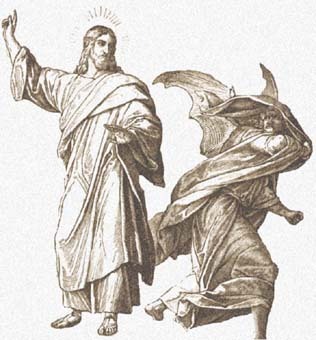 The necessary ingredient for souls to be led astray by satanical false charity is to be willing to make a sinister "exchange"-- like many Jews of Christ’s own day. What exchange? The exchange is the salvation of our souls. 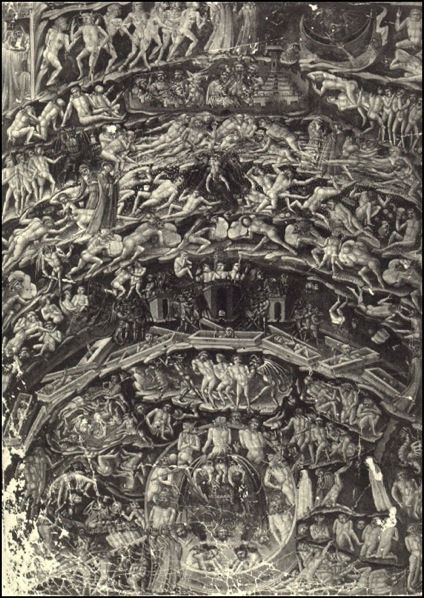 This is all that Satan ever craves if only we are willing to give up our souls--then we can have the enticing bread of this world when we make the easy exchange of false charity. To accomplish this exchange one must only imitate or cooperate with the pharisaical teachers of false charity who are the apostles of ‘lovism’ that have long ago abandoned the ‘truth’ of Christ’s Word for the prosperity modernist gospel of feel-good religion. Like Judas, the pharisees’ lovism sought the exterior approval of the world so they looked good, felt good, and were praised by their synagogue followers in Jesus’ day. They were the popular teachers in Jesus’ day. They were the popular teachers of the faith: they did everything to be seen, and sat down front at synagogues with their flamboyant robes of widened phylacteries and long fringes– to gain attention– and they loved the places of honor at feasts. Most important of all to these teachers of false charity and lovism was the secular world of the market place, for they loved to be called ‘rabbi’. A good test to see if one is personally following this false charity of pharisaical lovism and loving inordinately the things of this world is to examine how attached one is to the ‘bread’ of this world. A great prophet of Catholic truth who fought steadfastly and bravely with every bit of his energy against the notion of worldly priests and who gave many a retreat to priests and religious throughout his entire life was the Jesuit priest Father John A. Hardon. 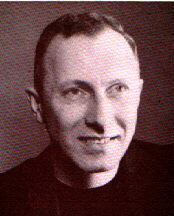 Father John Hardon taught ‘detachment’ as the number one virtue of sanctity for priests and religious. Moreover, Fr. 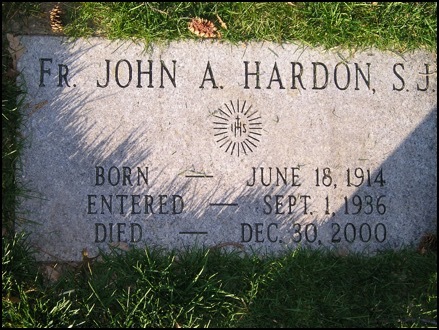 John Hardon was the spiritual director of Mother Theresa of Calcutta’s Sisters of Charity. 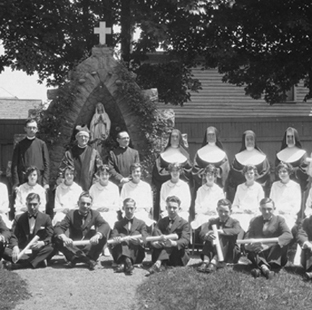 Father Hardon adamantly taught about the virtue of charity, true charity, over and over to these holy sisters of Mother Theresa’s religious order who have practiced this holiest of virtues in their religious order since its very inception. How can one tell if one is too attached to the false loves of this world or not: simply ask yourself if you are thoroughly detached from the things of this world. And if one is too attached to the things of this world then he is full of false charity and exactly like the Rich Man in the New Testament who walked away from Christ when Our Lord asked him to give up everything he possessed and come follow Him if he wished to be perfect. When Father John Hardon was asked whether this Rich Young Man in the gospels was saved in his opinion, Father Hardon said he believed the Rich Young Man was lost because of his excessive attachments to the things of this world– his money and all his possessions, for he went away sad when Christ told him to give up everything. Father Hardon once pointed out in one of his lessons on detachment that what causes Catholic bishops and priests to apostasize on their Catholic faith is excessive attachment to the things of this world: sexual gratification, pride of self worth, clerical envy for power in the Church and notoriety, and money. Furthermore, Fr. 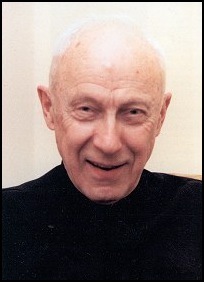 John Hardon, made it known that bishops in the United States are literally worth millions and millions of dollars. Why? Because they are the sole owners of whole dioceses, legally. And nobody else! 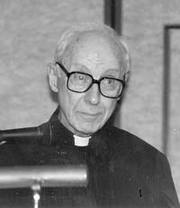 When Father John Hardon was asked what he meant by detachment, he taught the following truth which he repeated again and again in the multitude of books he wrote on Catholic theology: "By detachment I mean, you must be detached from everything in this world. And when I say from everything, I mean from everything, from everything, from everything." Finally, Fr. Hardon taught that Our Lord wants us all to be rich, but only with the things that are spiritual, celestial, and eternal. And especially is this true of those in the clerical life of the priesthood and the religious life. Everything else is simply useless according to Fr. Hardon. St. Paul reiterates this very same truth rather strongly in Corinthians: "For Jesus Christ my Lord; I have suffered the loss of all things, and count them but as rubbish." To Father Hardon all the things that one possesses have no value whatsoever unless they bring us safely to heaven. From Our Lord’s own words about the Rich Young Man, He teaches that wealth and riches are eternally deleterious to our souls and our heavenly salvation if they are not used for our eternal happiness and reaching heaven. His prophetically powerful words bear this out: "How difficult it is for a rich man to enter the kingdom of heaven." Our Lord emphasizes that we ought to build up treasures for the Kingdom of Heaven: "Fear not, little flock, for it hath pleased your Father to give you a kingdom. Sell what you possess and give alms. Make to yourselves bags which grow not old, but a treasure in heaven which faileth not: where no thief approacheth, nor moth corrupteth." In other words we need to be totally detached from all the pleasures and possessions and honors that the world holds dear if we truly wish to reach heaven. Then we can be internally detached. What exactly was Our Divine Teacher calling the Rich Young Man to become if he were to leave all his money and possessions and come after Jesus and follow Him? Why he was begging him to become a priest, for isn’t that the life of the holy priest to become totally detached from the wealth and riches of this world? And Our Lord wanted this Rich Young Man to come and follow Him. 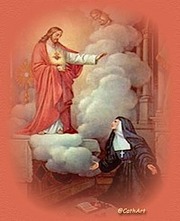 To follow Christ totally and completely is to become saintly. And to become saintly oneself as well as one who helps others become saintly, is this not truly the vocation of a holy priest? How important is becoming holy to modern day Catholics or even to today’s priests? How interested are priests and people in the false charity of pharisaical ‘lovism’ which would much rather trade one’s soul for the bread of this world and the thirty pieces of silver of Judas Priest? So many Americans today, and so many Catholic priests and bishops, seek the false bread of false charity offered by Satan to the world and not the heavenly bread which Our Lord offered mankind. Truly the social gospel dominates most of parish life today with expensive activity buildings being constructed to lure all the parishoners into expanding the church’s "bread of this world" by fund raisers, finance committees, and beauracries layered as high as the church steeple to plan and man all these financial enterprises. Much more time and effort is spent on renovating churches, building activity buildings, going on trips, participating in interfaith ecumenical prayer socials, building church image and community than on actual worship, devotions, and a serious saintly prayer life together that is cemented upon the solid pillars of Roman Catholic orthodoxy and catechetics. And who is the social engineer of all this socializing and making money and who sits like a mini-monarch before his cabinet of the parish council but the parish pastor. How many priests today are not listening to this heavenly truth of detachment as Our Lord preached it so many centuries ago, but still as relevant today as ever? Very, very few according to Father John Hardon who said often about the numbers of those saved in his lectures--virtually all of the Fathers of the Church agreed that ‘most of those living in any age will be lost’ (which includes priests). These are, indeed, grim statistics about those who will lose their souls for the serious sin of false charity and all of its false loves of this world. And Father Hardon reiterated this truth by pleading in his conferences: "Pray for priests, pray for priests, so many have lost their faith!" To be serious about one’s soul and one’s personal holiness, according to Father John Hardon, one must tenaciously follow Christ and become holy by following Him in poverty of spirit as well as living like Jesus--who was literally born into poverty. This is especially true of priests who must vigorously follow Our Lord in true poverty of spirit through the holy counsels of poverty, chastity, and obedience to reach heaven. This cannot be done, according to Father Hardon, unless the priest be detached "from everything, from everything that this world holds dear." A key test to judge priestly holiness or that of the people is Fr. Hardon’s following yardstick: "To the degree that one is detached from the things of this world, to that degree is one holy." So the pharisees, or the Jewish priestly cast like Judas Priest, entertain the pretense of a loving affection publicly for Christ and His Truth, but they hide within their human hearts a diabolical attachment to the things of this world for the thirty pieces of silver, therefore, they live the diabolical exchange for the bread of this world as opposed to the bread of heaven as is evidenced by their lives of false charity. There is absolutely no difference between the judas priests of the Jewish priestly cast and those in today’s modern Catholic Church. All judas priests preach the popular gospel of false charity, the prosperity gospel of today’s modern Catholic Church since Vatican II: a religion whose priests too often crave the world’s eye and approval, lack humility, are ostentatious, are prideful and arrogant about the existence of sin–especially sexual sin, dissemble about doctrine constantly, and finally have desacralized the Holy Sacrifice of the Mass to a Protestant praise banquet for everyone attending, be it priest presider or people. What, above all, proves the false charity of all pharisaical priests whether ancient or modern? 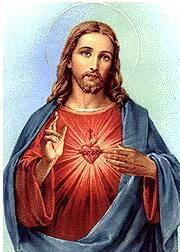 Truly Jesus’ own words: "Practice and observe whatever they tell you but not what they do." (Matt. 23:3) Thus these reprobate priests of today are obvious for their hypocrisy and their unwillingness to repent and love God: and so, they do not practice what they preach or even preach what one would hope they should practice; for a prideful and not prayerful priest with no contrite heart is as easy to detect today as a pharisaical priest in Christ’s Own Day. Christ, the Divine Teacher, so often rebuked the pharisees for their false teachings on love throughout His entire Public Life; and, no doubt, would have done the same today if He were here present. These false teachers of pharisaical lovism are, therefore, the paradigm of Judas Priest. Our Lord’s Own Words condemn this lifestyle of preaching and not practicing, the essence of Judas Priest: "They bind heavy burdens, hard to bear, and lay them on men’s shoulders; but they themselves will not move them with their finger." (Matt. 23:4) Certainly Our Lord deemed priests of false charity as most meager in their striving for holiness, if at all. "Fr. 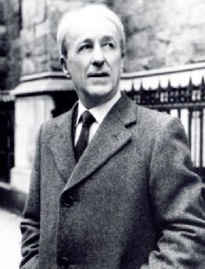 Malachi Martin and Judas Priests"
Father Malachi Martin, a well known Catholic author and faithful priest to the end of his life and good friend of Father John Hardon, S.J. 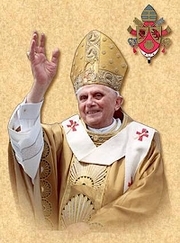 said he was able to sit down in the back of a Church and observe any Catholic priest at Mass and tell inside of a few minutes whether or not he was a faithful priest on the road to holiness. How did he have such a perspicacious eye for judas priests--those who pretend and appear to be one of Christ’s chosen disciples but in reality seek only to betray him? In short, Father Malachi Martin sensed a faithful priest or a priest striving to be holy by his gestures and general demeanor at the altar of God. And what did he especially look for? 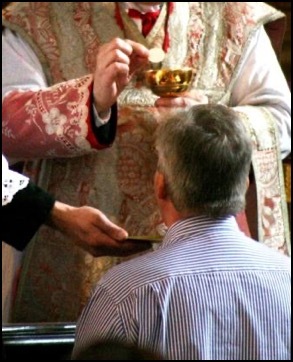 He could tell if a priest was holy by whether or not he genuflected at all during Mass and secondly, the general reverence and devotion in the way a priest says Mass tells the rest of the story. These were telling signs to Father Malachi Martin, a very holy and faithful orthodox Roman Catholic priest himself. "Mary Magdalen’s Perfect Act of Reverence"
We have seen how Satan tempted Christ to make this exchange of heavenly bread for earthly bread in his temptations of Christ, but Our Lord would not. We have also noticed how this same curse of exchanging the Bread of Heaven for the bread of this world fell upon Judas too--one of Christ’s own beloved twelve, in a very dramatic example recorded by the evangelist John. 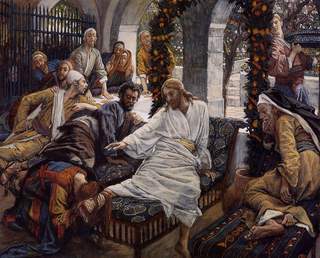 Just before the passion of Our Divine Savior began, Jesus had assembled at the home of Lazarus and Mary where He celebrated one of His last meals with these intimate friends and His beloved twelve. Here the false charity in Judas the Priest’s heart came dramatically forward when Mary Magdalen used precious nard to anoint Jesus’ feet and dried them with her own hair, a deed of the purest, selfless charity towards Christ, giving off a most precious pungent odor that literally emanated through the entire house (John 12:3). This was, indeed, a very, very expensive commodity in the ancient world which was the cause celebre that Judas presumed was an extravagance of worship on Mary’s part; for the precious nard could have been sold for a good profit and the money then given to the poor, so said Judas Iscariot. This was a rich act of worship, the highest form of charity a human heart could offer to her God, scrimping not the least on what one possesses for a perfect act of self-surrender of everything to her God. This was an absolute act of supreme humility at the feet of Our Lord Jesus Christ, so evident in her supplicating person at her Lord’s feet, using her beautiful hair– the crowning beauty of any woman’s pride–as a towel of personal reverence to wipe Jesus’ feet. Mary slighted nothing in her most profound ritual of worship of her Lord and her God, utilizing the finest things of this world and the finest she had as a person. Yet Judas pridefully and vehemently protested in typical pharisaical fashion against this ritualistic extravagance of worship on Mary’s part: "Why was this ointment not sold for three hundred denarii and given to the poor?" (John 12:5) This was a consummate lie on Judas’ part, related the most beloved apostle John who often leaned upon Our Divine Lord’s breast, for Judas cared not for the poor but kept the money box and often stole from it, so clarified John also. What an antithesis of good and evil in this scriptural passage between the prideful arrogance of one who sinfully preaches the false charity gospel of "less is more’ and another who cannot give enough to her Lord and God. Just like his betraying kiss of Christ Our Lord, we see here a glaring example of false charity against Mary’s humble offering of a totally unadulterated charitable assumption-presumption from her pure heart. What can be more beautiful than to observe this totally Catholic sense of adoration in Mary’s heart: by her loving presumption of God’s totality of love for her and us all, she seeks nothing for herself by this gesture but only how she can please her Lord and God in a veritable act of sacrificial and worshipful love. This is such an unparalleled example of true charity and false charity in contrast in Sacred Scripture. This passage of Sacred Scripture casts another darksome shadow upon the heart of Christ’s betrayer, truly a follower of the pharisees and not of Christ, the epitomy of eternal charity and good will toward men; for Judas talked the ephemeral, plausible talk of the bread of this world, and not the Bread of Eternal Life. Why is this so? Judas belittled openly Mary’s supreme act of charitable love of Christ, stating it would have been much better to sell the nard for profit and distribute this money to the poor. Does this not sound familiar today to the external undertakings of modernist Church types for many programs of social justice i.e. the peace movements against war, political movements against war, political movements of liberation theology, food pantries and soup kitchens, environmental and animal preservation rights, and global warming? What Judas Iscariot, the traitor, advocates is to ignore the Bread of Eternal Life, Jesus Christ, and the reverence due Him for an inferior and external charity that only the world would acclaim great: great because it appears religious, just and good; but it is not really religious, just or good, without Christ. To lack the charitable assumption presumption of Mary’s pure love for Christ, as Judas clearly does here, by arguing that the charity of this world without Christ is sufficient is a classic example of false charity. 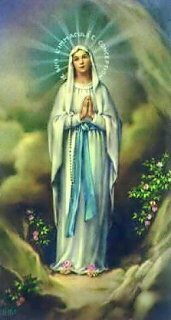 But for Mary, charity without Christ is nothing less than a satanical exchange of the Bread of Heaven for the bread here below. How many souls are there today who starve for Christ’s Bread of Eternal Life, yet are surfeited on the satanical bread of this world? Charity that does not begin at the feet of Christ and return there in humble worship and adoration is the totally meaningless politics of this world, striving for the diabolical wordly bread of Satan’s dominion. 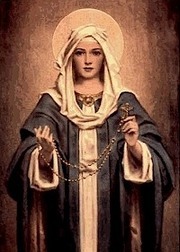 We cannot love our neighbor as ourselves if we do not love God with our whole mind and all our hearts’s strength as the beautiful sweet and tender love of Mary for Christ demonstrated at His feet, where we see the exhaltation of the sacred loving worship of God in the magnificent splendor of Mary. This can only mean the simultaneous burgeoning of charity in the real world for our fellow man, if one does not pursue pharisaical false charity of Judas the priest. Let us recall Christ’s words here: "You can do nothing without Me." (Mt. 15:5) And again: "The poor you will always have with you, but you do not always have Me." (John 12:3) So often doing something that is ostensibly good for others can fail because it is done without Christ and becomes, therefore, its own reward or the reward of self and not performed for the Glory of God. A soul bereft of the love of Christ and the high ritual of this love is a soul caught up in a heady altruism of this world that seeks its own glory in the bread of Satan: cognition, acceptance, approval and political correctness! "False Charity and Novus Ordo Mass"
How dangerous the diminution of worship from the sacred, profound Presence of Almighty God to a pedestrian, egalitarian view of God as just another social worker who leads us all on a social worker mission to improve the world, whether for peace, liberation, or feeding the hungry of the world. This has been the popular scenario since Vatican II, social justice programs of all kinds. However, when they do not preach conversion to Christ in so many of these pie-in-the-sky church programs; they can quickly become exercises in political skulduggery with the winner getting the most money from the government for your organization’s pet social project. 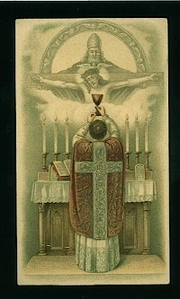 We have watched the regal and stately worship in the Catholic Church of the 50's and 60's before Vatican II descend from the charitable assumption presumption of Christ’s sacrificial love to a worldly secularized lovism for neighbor as our goal of worship with endless declensions that falsify and profane our charity and love of God more and more: stripping the churches, dressing casually for Sunday Mass, discontinuing personal prayer books, turning the altars around to face the people, removing religious symbols, having the Mass in the vernacular and– most uncharitable of all–removing the tabernacle from the summit and center of all Catholic Churches, truly the false kiss of the false love of a Judas priest. 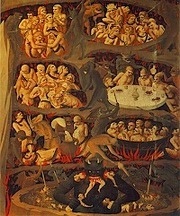 If one doubts the perils of the Protestant social gospel in America and its deleterious affect on the Roman Catholic Church, consider only the diminution of all the Catholic moral issues of late in this land (fornication, divorce, abortion, and homosexuality and sterilization) and the adoption of these popular protestant causes so embracingly by the Church. "False Charity & Catholic Education"
Finally, the Church is to educate the young; however, one no longer has to study the faith or become Catholic to attend a Catholic School these days. Catholic universities, Catholic high schools, and Catholic elementary schools in urban areas follow this doctrine of false charity. They appear to be doing good for their fellow man by educating them, but they believe love is charity without worshiping at Christ’s feet or teaching others to do this or even encouraging possible converts to do this anymore--because the satanical bread of worldly approval and recognition is much more desirable! The true charity of Mary and her love of Christ has so quickly become the secularized false charity of Judas Priest’s exterior false religion. Why? False charity appears to be loving and caring for our neighbor and our God; however, false charity occurs so often apart from the ritual beauty and truth of the Catholic faith as Mary Magdalen’s sublime reverence at Christ’s Feet! We have, therefore, descended from the lofty supernatural high church ritual of Mary’s love before Vatican II to the pedestrian false love of humanism and the things of this world–the false charity of Judas Priest’s kiss.